How to choose proper plastic molding process for your product? Different plastic materials are being used to produce different objects in the manufacturing industry nowadays, and the manufacturing of each part needs a unique plastic molding process that can form the part on basis of its specs. Before you produce a plastic product, you need to determine the specific plastic molding process that would best address your production needs. In this article, we offer a general overview on 5 different plastic molding types, their strengths and specific applications. Blow molding is often applied to glass blowing, in which a parison (heated piece of plastic, usually a tube) is air inflated. The plastic material is pushed by air against the mold to get the desired shape. After cooling, the plastic part will be ejected. This molding process is mainly used to produce one-piece hollow items in a high volume. It is the right process for you to make a lot of plastic bottles. The blow molding process is able to create thin-walled containers in a very consistent and yet economical way. As its name indicates, in this molding process, the heated plastic material will be placed in a heated mold, which will compress it into the desired shape. Though often coming in sheets, the plastic material can also be in bulk. The integrity of the final product is maintained by curing (heating). Like other molding processes, after the part is shaped, it will be ejected. In the circumstance where plastic sheets are used, the plastic material needs to be trimmed in the mold before part removal. Compression molding is designed to deal with high-strength compounds, e.g. thermosetting resins, fiberglass and reinforced plastic materials. In the compression molding process, the application of the materials with outstanding strength properties makes it the most appropriate process for the production of auto parts. Different from other molding processes which get the plastic materials into a mold through extrusion, extrusion molding, as its name indicates, extrudes the molten plastic into a die, instead of a mold, to determine the shape of the final product. The extrusion molding process forces the molten plastic material through a die to get the desired shapes with a fixed section. Many different shapes can be obtained through this process efficiently. Due to the fact that the plastic material needs to be melted and then solidified, only thermoplastics is strong enough to undergo the extrusion process. 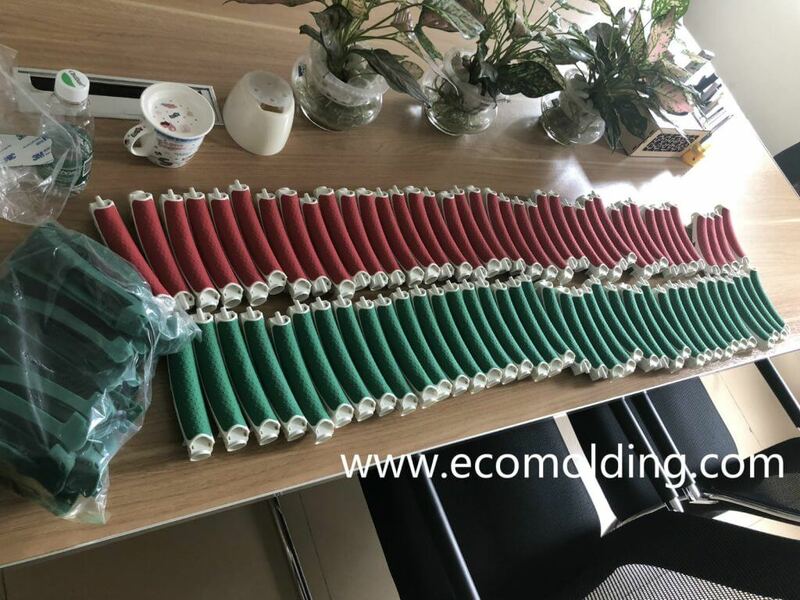 After cooling, the final extruded part can be cut or rolled for easier shipment. Among all molding types, injection molding by far serves the most versatile purposes. Rated on basis of tonnage or pressure, the presses applied in the process differ in size, among which, the larger ones can be used for production of auto parts, while the smaller ones can be applied to produce very precise parts, such as those for surgical purposes. Besides, a lot of different plastics and additives can be used to increase the flexibility of injection molding for designers and engineers. With regard to the process itself, it is very straightforward, but a lot of enhancements and customization technologies are added for production of parts with the desired surface finish and structure. The injection molds are generally made from steel and designed with cavities to form the part. During this process, molten plastic is injected into the mold, and filled into mold cavities. After cooling, the part will be ejected by ejector pins. In this method, the cost of the mold itself is relatively high, but the cost of every part is rather low. Cost effective part, diversified resin and finish options have made the injection molding process a popular technique in the present manufacturing industry. Rotational molding coats the mold interior to form the desired part by using high temperatures and rotational movements. In this process, the mold rotates constantly to create the centrifugal force that is used to form even-walled parts. Though not a very fast moving process, it is an ideal method for manufacturing of large hollow containers, e.g. tanks. In addition, it is a more cost effective way for production of particular parts, when compared with other molding types. In this very process, little material is wasted and excess material can be recycled, making it not only economical, but also environmentally friendly. 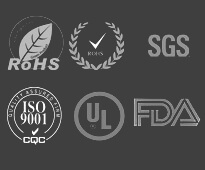 Every plastic molding method has its unique advantages and disadvantages. Designers and engineers need to keep these differences and options in mind when planning for the most appropriate solution. Mold makers should be able to provide more in-depth insights into what best fits a particular project, be it applications or materials. How much does a plastic injection mold cost? How to find a injection mold maker in China?